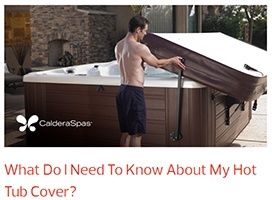 What’s Important To Know About Hot Tub Seats? Hot tub seats are like office chairs. Some are comfortable, some aren’t. Some are ergonomically designed while others seem to be beautiful but not functional. If you’ve spent much time in an office chair, you know that the seat really does matter. Caldera Spas seats have a deep well that cradles you comfortably and places your bottom lower than your knees. That design decompresses your spine and keeps you aligned while in a seated position. That helps relieve the pressure from parts of the body that experience weight and the effects of gravity all day long. According to a recent article on the Huffington Post website, Good posture leads to greater confidence, elevated motivation and lower stress levels. Citing a study on the ScienceDaily website, sitting up straight in a chair provides greater mental focus measurably increasing your confidence level. This extensive research showed that people seated with good posture were more convinced by the things they wrote down than those seated poorly. If your trying to relax and convince yourself that all is well in your life then the importance of good posture in your hot tub seat becomes a critical feature. Caldera Spas seats have a deep well that cradles you comfortably and places your bottom lower than your knees. Water immersion makes you bouyant (lighter). 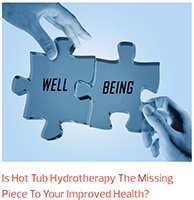 This buoyancy is one of the best benefits of hot tub use and particularly for those who suffer from arthritis or over-exercised muscles and joints. The Arthritis Foundation publishes an article called "Water Walking 101" in which they extoll the benefits of water exercise. It turns out that walking or moving in the water creates 12 times more resistance than walking or moving in the air. A small amount of movement in the water equates to a lot of movement in the air. You can actually build more muscle or burn more calories working out in water than in the same amount of time without the water resistance. 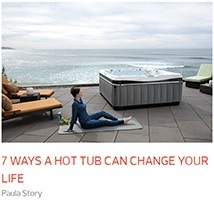 But you don’t want that movement being spent to hold you in your hot tub seat. 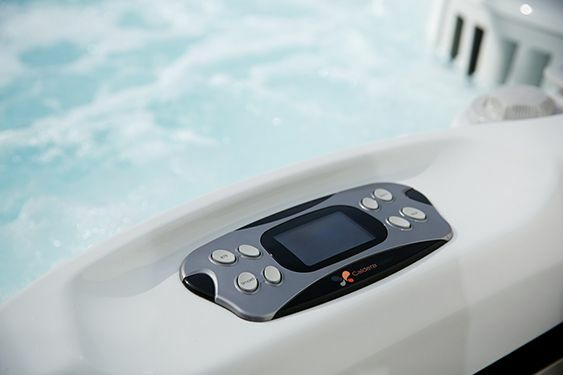 Our hot tubs are designed in a way to keep the water’s buoyancy and the jet power from floating you out of the seat. That’s especially important for people of smaller stature. There’s also a foot ridge unique to Caldera spas that keeps you in your seat even when the jets are on high so that you can relax and enjoy the massage. After all, it’s difficult to relax if you’re using muscles to keep yourself stable in the moving water. Our hot tub seats are designed in a way to keep you seated while buoyant to keep you from floating out of the seat. Sometimes you just want to use your hot tub to relax; a hot tub lounge seat is nice for that. Other times you have sore muscles or joints and want to experience the benefits of hot tub jet massage. A well designed hot tub provides more than powerful massage jets. A well designed hot tub also provides the correct spa seating configuration to take the most advantage of massage jets to target a particular area of the body. Getting the correct angle to target sore feet is different than the angle needed to target a sore back. Great thought, design and engineering is required to ensure a variety of seating angles to accomodate the different types of masssage jets in a well designed spa. There is no such thing as "one size fits all" where hot tubs are concerned. How Well Do You Fit in the Hot Tub Seats? Like hot tubs, people come in all different shapes and sizes. Children present another challenge entirely where hot tub seating is concerned. 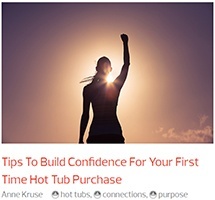 Regardless of your body size it is important to consider the size and shape of the people who will use a hot tub during the purchase decision. It’s a big step to take, buying and installing a hot tub only to discover later that you bought the wrong one. At least sit in a spa while it’s in the show room without water first to make sure that the seat height and the depth of the hot tub will be a good fit for your body size. If you are considering a spa for the whole family or have a group of friends in mind then it might be a good idea to bring them along with you so that they can sit in it as well. Better yet, take a test soak! What’s the Best Hot Tub Seating Option to Target Your Feet? Our poor feet really take a beating. We stand on them most of the day and some of us suffer poorly designed footwear in the name of fashion. According to the Harvard Medical School, 3 out of 4 Americans will suffer from some foot ailment during their lifetime. Foot massage provides a wide range of health benefits including relief from nausea, relief from pain, general relaxation and improved well-being. 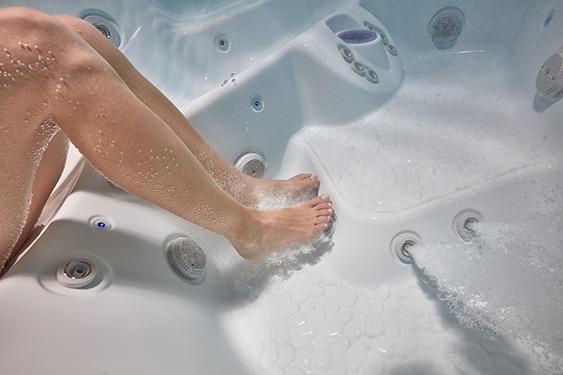 Look for hot tub seating that is designed to coordinate with floor massage jets to help relieve sore and tired feet. Particularly if you or some of your family members are shorter in stature you will want to actually sit inside any spa you are considering to ensure you can comfortably reach the floor jets while in a seated position. When considering a hot tub purchase, think about which of the seats you are going to claim for yourself most of the time. Especially if you are going to be the primary user, are the controls easily accessible without walking to the other side of the spa? On cold winter mornings or evenings you’ll want to control the spa jets and functions without having to rise into the cold air. 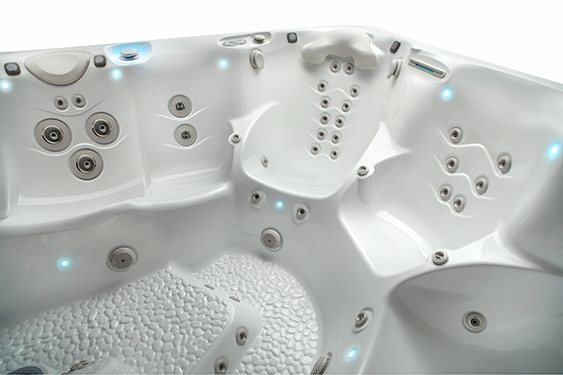 Do the position of the hot tub seats make sense in relation to the controls? 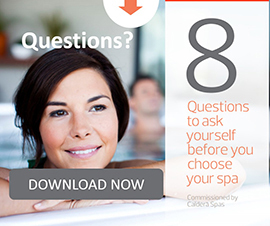 Does the spa offer a wireless remote control? With the Advent™ Control Panel you have complete control over water temperature, jet systems and ambient lighting effects. Ask yourself where you need relief. Does the seat have jets located where they’ll work your tired lower back, neck, calf muscles, hamstrings or even your feet? Some do and some don’t. 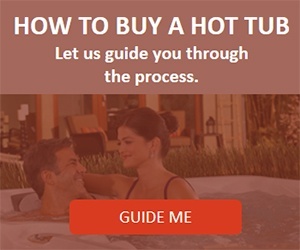 You can eyeball a hot tub online and try to imagine whether the jets seem like they are well thought out in relation to the seating but the only way to be sure is with a hot tub wet test, also known as a hot tub test soak. It’s important to sit in a hot tub to make sure the location of seats and jets are optimal for your body size. 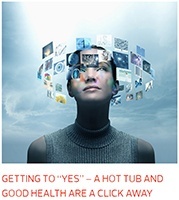 Take a Hot Tub Soak Test! If possible, test out the hot tub before you buy so that you can experience the feel of the seat and the jets. If you’re not able to conduct an actual test, at least spend a little time sitting in a dry spa to help you decide if it’s the "right fit" for you. Not enough can be said about the value of a hot tub test soak before you buy. Is it Better to Buy a Hot Tub with Lots of Seats? As a general rule of thumb you can figure that the larger the hot tub the more seats it will have and the more people it will fit. But how many hot tubs seats are right for your own purposes? It really has to do with the size of your family and your social habits. If you have a large family or a large circle of friends that visit often then a larger hot tub may be the right choice for you. One of the many benefits of hot tubbing is the quality family time and the more personal conversations that follow. You likely want a tub that seats the whole family. On the other hand if you have a small family of 4 or less then a smaller hot tub may be the way to go. Another general rule of thumb is the larger the hot tub the more expensive it is to run, especially in colder climates where you have to keep a larger volume of water hot. 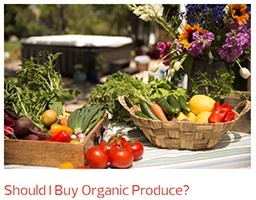 Water use is another consideration. Hot tub water has to be changed periodically and logically a larger hot tub will result in higher water bills as well. Whichever hot tub water care choice you make; salt water or chemical treatments, the cost to treat a larger volume of water is also higher. Does the spa you’re considering have a variety of seat types? Many models offer several types of seats, including a lounge. 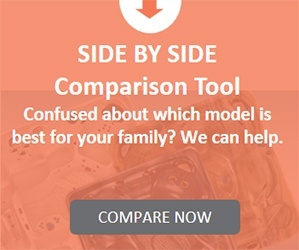 You’ll need to decide what’s important to you and your family. The best hot tub and spa seating designs provide a wide variation of seated positions to maximize the massage benefits to the different muscle groups in your body. Your hot tub should provide a full body massage. 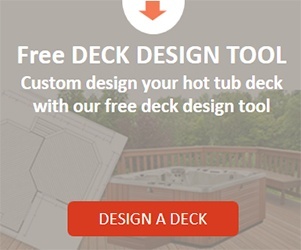 Check out the hot tub seat arrangements in any Caldera Spas hot tub online. Please share your thoughts on hot tub seats in the comments section below. Can you tell the difference between hot tub seats? Have you ever noticed yourself floating out of a seat when the jets are on? Do you move from one seat to another for different jet massages?